Calculator features a large easy-to-read 12-digit blue fluorescent display. Prints 2.1 lines per second. Other features include two-color serial printer, four-key memory, floating or fixed decimal, markup key, item counter, and heavy-duty metal paper holder. Includes clock, calendar, tax keys, cost/sell/margin, grand total and average keys. 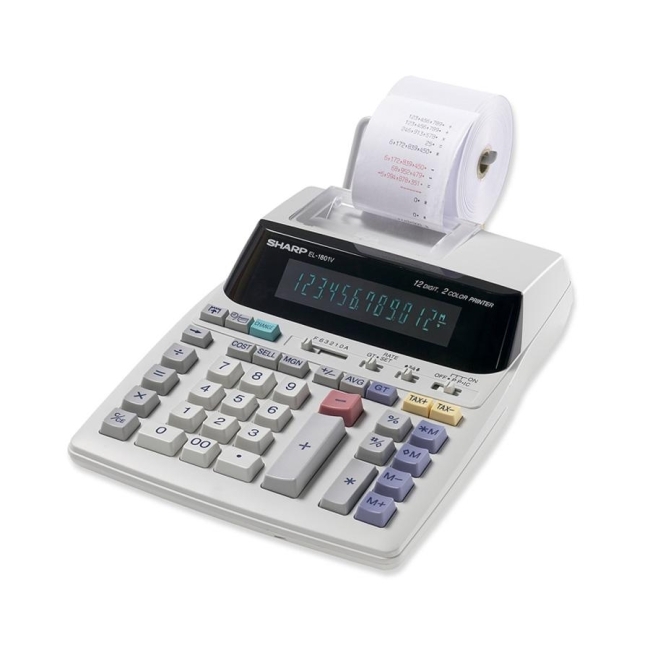 Change Calculation mode allows calculator to perform like a cash register. Enter total amount, type in currency received and change will be calculated. Uses AC/DC power. Includes AC adapter.